Sometimes he said things that seemed to be hard sayings if taken the wrong way. They are only hard to those who refuse to accept them or act on what He said. What He said was always right & always for our good. They brought answers, met needs, released people and everyone who received what He said and acted upon that was blessed and changed forever. In this little lesson, I want to look at those two words and see what they mean and the implication to us today. Let us look first however at Elijah and Elisha. My book The Horseman and Chariot of Israel deals with this in depth. After his confrontation with Jezebel, Elijah called for the rain and was sent by God to anoint Hazael, Jehu and Elisha for specific tasks. Take note of this, because Jesus was anointed for specific tasks. He is called the Anointed one, the Messiah, known as “the Christ”. That word Christ is not His “surname” but a title. He is the anointed one. Today we are to be His anointed ones. Jehu was anointed to be king over Israel and Hazael king over Syria. Elisha was to be anointed to be a prophet, or, anointed for ministry. There are different anointings! Some people can be anointed for kingship, which means that they have a role to provide the resources for those who are anointed to be priests. Do not think of Catholic or Anglican “priesthood” etc—those days are over, but think of those who are called for ministry purposes adn in particular, those who are appointed to one of the five ascension gift ministries in Ephesians 4:8-14. We take this up in 1 kings 19:16-21. 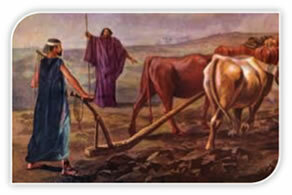 Elijah found Elisha plowing with twelve yoke of oxen and cast his mantle (cape) upon him. From the account, Elijah kept on walking and he never said one word! Now there is no mystical power in a mantle, but there is great significance. This mantle represents the anointing that accompanies the call of God. Elisha knew it! Let us backtrack a little to 1 Kings 17. Here Elijah confronted an evil king saying that it would not rain until He said so! Can one man really command the weather? What this man did was to say what God had already said in Deuteronomy 11:16-17 and Deuteronomy 28:15-24. I often talk about saying what God says and if we want the God kind of results in our lives, we need to know what He has already said and start using that as our speech! Elijah then prayed for rain in chapter18, after the word of the Lord came to him about it. He told his servant to keep watch. Who was that servant? I suggest that it was Elisha. After that confrontation with Jezebel, Elijah ran away—leaving his servant behind! He wanted to die. Hey...that’s the great prophet Elijah? God never told him to go anywhere and forsake his servant. He did that himself and got into big trouble. The Lord had to ask him, “What are you doing here?” Even then, God kept looking after him and sent an angel with supplies. My friends, great men of God are just that—men and they can fail! Peter did. I have. So have you. Just make sure that when we goof off, to fix it real quick, repent, receive God’s forgiveness and keep on going. See 1 John 2:1-2, 12; James 1:13-16, 21-22, 5:13-16. Sometimes we think that we are alone and that we are the only ones who are faithful to the cause and that no one cares. Do not start having a pity party. You are never alone. You are not the only person in the world with problems. Everyone goes through their testing times. Elijah was having a solitary pity party when God reprimanded him and told him to wake up to himself. The Lord told him that He had 7000 other men who were faithful to Him. Please note that God chose those 2 kings to bring the sword to those evildoers and that if anyone did escape, Elisha would deal with them. Nothing goes unnoticed by God. He might seem to take a long time when evil men seem to get away with things, but they don’t. Read Psalm 37. Elisha was at home, going about everyday life, when a man of God stepped into his life and radically changed everything. All that Elijah did was put his coat around the man’s shoulders and it seems that, without a word, he kept walking. Elisha dropped everything and ran after the prophet. Once the truth is made known there is no excuse; no turning back and no waiting to see what happens. A man can hear the Gospel message and think that he can think about it later or decide later (neither often never happens) and walk out of that meeting only to be killed by a bus or something. Procrastination is a killer. Taken to the extreme it could border on witchcraft. Elisha ran after Elijah and asked him if it was OK if he said farewell to his family. In those days, this was important. He wanted to honor his parents and this is a good thing that is becoming rare in our modern society. He took a yoke of oxen and slaughtered them, giving the flesh to the people for food and then went after Elijah. Why didn’t he leave the oxen with his parents? That would have been acceptable perhaps, but the problem is that he would not have burned his bridges behind him. The attitude is (and it is held by many people today) that if this thing does not work out, I can go back. Jesus said that anyone who starts off on the journey with Him and looks back is not fit for the kingdom. See Luke 9:62. Let’s face it. Sometimes the going does get hard. Sometimes we might feel like quitting. Peter did. See John 6:60-71. There have been times when I have had to grit my teeth and decide to keep going, or, as we say here, to keep on keeping on. I shared this with a pastor in West Africa recently. At one point in my life, I was totally alone, lost forlorn, feeling abandoned, treated like a leper by some of my pastor associates, homeless, broke, no job...nothing. All I had was a promise from God, but that’s all we really need. God turned everything around and look at me now! I only share this to illustrate the faithfulness of God. One evening, the Lord came into my lounge and started speaking. He told me to read Revelation 3. He commended me saying that I had not yet spat the dummy and because I remained steadfast to Him—and the ministry vision He had given me, that He would reward me and turn everything around. Some of these pastors who laughed and jeered at me, some mocking and calling me rude names are out of the ministry completely. Some are dead. One died a horrible death, drowning in his own body fluids. Others have apologized to me. At that time, my ministry vision was only just starting, but it is now world-wide. I only share this to encourage some of you my brethren in the Lord! I know that you are going through stuff. Don’t quit. Providing that God called you and that you did not choose this yourself, He will see you through. When Elijah mantled the man, the account states that he ministered to Elijah. This talks of servanthood and very few people embrace serving. I doubt if I need elaborate on the servanthood of Jesus. See Philippians 2:5-13. Balanced servanthood is a good thing. On September 1st, 1968 at 7:30 PM another Prophet walked past me and came into my life and, without a word, made a similar demand on my life. “Follow Me.” That night, my whole life turned around forever and I knew without a doubt that God had called me, but into what? It took many years after that before I entered the ministry. God His hand on some of you too. The Master has passed by you and placed his mantle on you too. Do not be too hasty in trying to get into ministry or do things for God. Wait! Make sure that you hear His voice clearly and only do what He says. Your reward is for your faithfulness and obedience to His voice—not for what you decide to do for the Lord. I’ve often said this, but there are too many people in a “ministry” or activity that God never asked them to do and either constantly struggle or muddy up the waters. All that He asks is that you follow Him. We have all been given the ministry of reconciliation however. A wife at home has an important ministry role. A girl at the office also has one. Men at work have things to do too. Students at school have a vital role. The mission field is right where each and every one of us is right now. Every one of us is called to follow the Lord where we are at right now. His words, “Follow Me”, have the same command and the same invitation that they did 2000 years ago. We shall now see what this “Follow” means. Jesus was walking on the shores of the sea of Galilee and saw Simon, called Peter and Andrew going about their everyday lives as fishermen. He said, “Follow Me” and they did what Elisha did. He later called James and John and similarly called them. They too followed Him. I have to point out at this point that Peter did not literally abandon his wife and leave his home. He made sure that his fishing business kept going. See Matthew 8:14. The poverty teaching in some circles is not always all the truth. The rich young ruler often used to illustrate that viewpoint was given the opportunity of a lifetime to change his focus and dependency on his own riches and swap over to the Kingdom way and make God his source. Deute: It means to go, to come hither and to follow. There is a ring about it suggesting it is an imperative or commanding word. This means it is of vital importance. It states that the matter is critical, essential and a matter of life and death. Opisō: Its meanings are backside, backward and behind. Jesus said to come behind me. 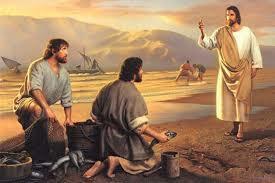 In simple terms, Jesus invited them and simultaneously issued a command to start walking in His footsteps. Please consider that if we are walking in His footsteps, that means He is going ahead of us, leading us, preparing things for us, opening the right doors at the right time and closing them when necessary. He is not only leading us, He is going with us! “His purpose was for the nations to seek after God and perhaps feel their way toward him and find him—though he is not far from any one of us. And since this is true, we shouldn’t think of God as an idol designed by craftsmen from gold or silver or stone. “God overlooked people’s ignorance about these things in earlier times, but now he commands everyone everywhere to repent of their sins and turn to him. For he has set a day for judging the world with justice by the man he has appointed, and he proved to everyone who this is by raising him from the dead.” Acts 17:24-31. Emphasis mine. I often talk about intimacy of relationship with God and how we can liken it to being in a love affair with Him, but am mindful of the fact that we are dealing with the almighty creator, ruler of the universe and judge of all mankind. Sure we experience the grace and mercy of God but we can’t live as we jolly well like to and escape judgment. There are different kinds of judgment too. The judgment for our sin has already been dealt with by Jesus, but there is a time coming when what we do; how we live and what we say since conversion will be judged. The rewards are there. So to are the penalties. Several years ago, the Lord told me during our 4am prayer time to take a shower and get dressed (I was still in my pajamas). I told Marjorie and did as instructed and the Lord took me to hell for 45 minutes. It was a horrible place that was eerily cold despite the flames. The cold dank darkness seemed to pierce into the core of my being. I saw preachers there! That shocked me. When I asked Him about what I had seen, He told me that those preachers were there because they did no teach their churches the truth and that as a result, people never got saved. The story titled “The Gates of Hell” is found on my web site. Click to view. Those who know me, realize that I have a sense of humor, but there are sobering times too when I realize who we are dealing with. Jesus commanded men to follow Him. It was not a dictatorial command, but still a command nevertheless. Simultaneously, it is an invitation, like “Come and dine”. I like them and there are plenty of them too! On other occasions, when Jesus said “Follow Me”, it was different. The word used then is Akoloutheō (some of them are real tongue twisters, aren’t they). It also means to follow, to follow after and to reach. It is also derived from other words and it talks about a union... Ahhh! I like that. It is a union in which we travel along a road together, in the same way as the other person and to accompany that person so that together we can reach the same destination. His invitation is a command and He wants companionship on the same road together. The Lord likes our company. He desires us to walk together, side-by-side to reach the same destination at the same time. A military man will tell you about drill! I enjoyed marching on the parade ground and doing rifle drill. I enjoy watching aircraft flying in formation. 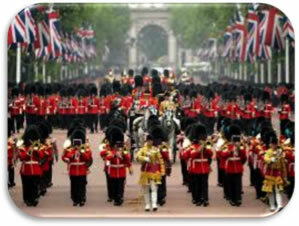 It is not all just pomp and ceremony of course. Such activities require much training, or, discipleship! Practicing drill maneuvers has a practical purpose. It enables military personnel to reach the same destination at the same time! It can ensure that their supplies reach them at the right time at the right place. There are many other benefits. Flying aircraft in formation gets the squadron to its destination so that the individual pilots can then peel off to accomplish their allotted tasks. 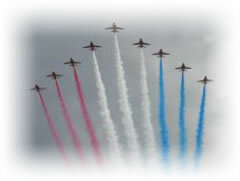 Imagine a jet flying North, one South, another North-east and another going round in circles. Think now of the church. One believer going this way; another that way; one church doing this and another doing that and never all coming together as one harmonious team. If the Lord said to follow Him, we need to follow Him—and trust Him. My sheep hear my voice, and I know them, and they follow me: John 10:27. This is the same word Akoloutheō. You see, the lord wants us to follow Him, just as sheep follow their shepherd. Watch! Such a shepherd gets to know every sheep in the flock. Perhaps he gives each one a name. He looks out for predators and protects the sheep. He seeks out the best grazing and puts them out to pasture and, when it is time to move on, he merely gets up, could say something like, “Come on (or follow me)” and walks off. They follow him. They trust him, They get to know him. They get to recognize his voice and his appearance and all this happens by regular association. Jesus said that He knows His sheep. This word Know is intimacy! The Greek word is ginōskō. It means to allow, to feel, to learn, to perceive, to understand, to be aware of and speaks about the closest form of intimacy any 2 people can have, such as in marriage. That’s nice—but we must follow Him. That means everything this word follow implies. It embraces discipline, discipleship, trust and obedience. Often times we only think of ourselves, but stop and ask yourself, “What’s in it for Him?” I think of the incident in Luke 24:13-15 when two disciples were fiercely debating issues about His crucifixion. The Lord drew close to them and started walking with them. Unfortunately, they were so engrossed in their own issues that they failed to recognize Him. They eventually invited Him to stay and they ate a meal together. At that point, their eyes were opened and they recognized Him. The point I want to make is that He desires a relationship with us also. That was wrong! The Lord is talking to us—His sheep. He is asking to be allowed entry into our lives. You could have asked Him in at salvation, but what is happening to the relationship since? Imagine the Lord’s feelings if we treated Him like that! The invitation to Follow Me, is as I said, both a command and an invitation. It is a request to join Him and enjoy the mutual benefits of the relationship. As one of His sheep, He wants to lead you every moment of every day. I’m not getting religious about this. It is very practical. You do not necessarily have to get into some kind of prayer mode (and we always need to pray) but God constantly lives in us. We can be so united as one, we can instinctively know His likes and dislikes and that He is leading us somewhere. It could be a “feeling” do not go here; do not go there; go tomorrow; call that person; say this; do not say that; go shopping at this place and so on. 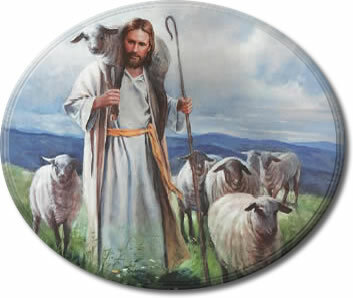 He is the good shepherd. He leads us. According to Romans 8:14, God’s sons (sons are heirs) are led or guided by the Holy Spirit. Are you allowing Him to do that, or are you going your own way, pleasing yourself and doing you own thing? Following Jesus means that we are to be disciples or disciplined ones and this is not always easy, because it cuts against the flesh, because the natural man wants to do his own thing. If we make a deliberate choice to both obey the command and accept the invitation, the Good Shepherd will make sure that we have a good future, guided and blessed along the way. 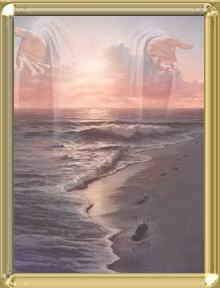 And I give them eternal life; they will never come to destruction, and no one will ever take them out of my hand. According to Jesus, you are of great value to the Lord. He will give you eternal life if you ask for it. Divine protection and provision is yours for the asking. If we follow Him with all that it involves, all that He is and all that He has is yours.